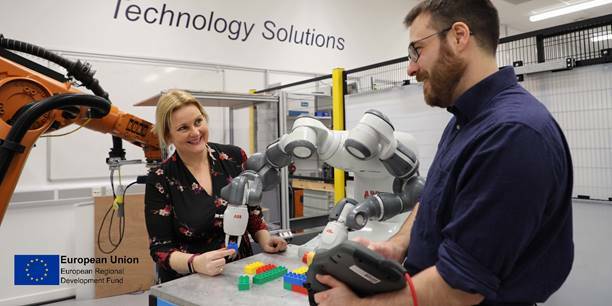 Small and medium-sized Bath firms thinking of incorporating robotics and smart automation in their business have the opportunity to try out their ideas under a £1m scheme launched by in the West of England. The SABRE Programme, which is based at the Bristol Robotics Laboratory (BRL) on UWE Bristol’s Frenchay Campus, will link businesses with most appropriate robotic equipment for their organisation, enabling them to trial, adopt and develop new techniques. RIFBristol director and associate professor for knowledge exchange in manufacturing Farid Dailami said: “SABRE will work with SMEs from across Bath & North East Somerset, Bristol, North Somerset and South Gloucestershire – providing them with hands-on assistance, tailored to their individual research and development challenges.